TubeNet • View topic - Lets define "long tones"
So the term "long tones" is thrown around quite a bit, but there seems to be some inconsistency in execution. Originally I was taught that longs tones were simply tones held as long, softly and steadily as possible. Then later I was taught that long tones were synonymous with Remington exercises, even referred to as Remington long tones. As a result, I've always practiced long tones, sometimes one or the other way or even a hybrid of the two methods. How do execute long tones? What do you feel is gained by practicing them? Re: Lets define "long tones"
The only way that I ever practice them is to start out very soft, crescendo to very loud over five seconds, and diminuendo back to nothing over the final five seconds. The crescendo and diminuendo should be measured and proportional (in particular, not getting soft again too quickly), the resonance should remain bel canto throughout, and (the most difficult) the pitch should remain the same. they are what you make them. I've had students go up a half step at a time, using full lung capacity on each note. there isn't much chance of that materializing. start the show. (given that we start most shows with the star spangled banner). As a bass bone player playing tuba when I think of long tones now I think of Phil Teele's Advanced Embouchure studies that have really helped me on tuba. His straight forward exercises are amazing. Take big breath, play note as long as possible, repeat 20 times. Do this twice more. Now go down a half step (supposed to keep same chop set as for above) and repeat. Do this until wife gets mad or three hours, whichever comes first. Some have found themselves wifeless after a week or so. timothy42b wrote: Some have found themselves wifeless after a week or so. If I had known getting rid of her was so easy, I would have started months ago!! Long tones are a single pitch per breath. They emphasize controlling the embouchure over time so that there are no wobbles or fuzz of other things outside of a straight, pure tone that stays stable in pitch and color. I do them at mf for about ten seconds each in all registers, but mostly in the low range. I also do them with a metronome while applying a long crescendo and diminuendo. They are like weightlifting for your chops. Anything else (Chichowicz, Remington, et al) are exercises in air flow where you want to keep the tone pure and free of trash over time as you change your embouchure to get different pitches. Some of these are scalar, some are over wider intervals. Personally, I include flexibility studies in the air flow category. By the way, as a tubist I have always liked Stamp's air flow exercises, but with Chichowicz as my main warmup flow study I could never figure out the purpose of Stamp beyond the more obvious flow work, so why work on them except for some variation in the routine? Our principal trumpeter told me it is a great addition to Chichowicz to work on not moving your jaw as you slur over wide intervals into the low range. We tend to set our face in the middle, and many have breaks when they slur down over a fourth or fifth. Stamp helps to correct that. Whatever you practice, regardless of speed, should be considered a tone study because you always want to create your finest quality of tone, regardless of the length of each individual note. The Remington studies, however, are generally be classified as flexibility studies, not long tones. When working on tone quality, Arnold Jacobs recommended holding a note at least four seconds, and six to eight seconds was even better. His idea was to not be too concerned at first with the beginning of the note, as long as it sounded great the longer you held it. Then, you can work on making it sound great sooner, until it sounds great from the beginning. He also felt that this was a great way to develop your high register. Pick one or two notes that are near the beginning of your high range. Don't play them a few times, but play them 20-30 or 50 times, making sure the middle of each note sounded great. After a week or so of doing this, move up a half step or so and repeat. After a few months, your high register will be greatly improved without killing your chops due to over use. This is a basic tenet of Mr. Jacobs, "Bad sounds can be made into good sounds, silence can't." If the note does not sound good at the beginning, never stop and start over. Instead, hold it 4-8 seconds and make sure it keeps sounding better the longer you hold it. Otherwise, you are just teaching yourself to play a bad note. Mr. Jacobs was also an advocate of the kind of exercise Bloke mentioned, where you do a lot of crescendo and diminuendo, maintaining your best sound while increasing or decreasing volume. He said it was analogous to turning the volume of a stereo up or down, more or less sound, but NOT altered sound. He also spoke often of something his teacher, Philip Donatelli, told him when he was at Curtis. Donatelli said that long tones made him sound good, but made his lips stiff. Flexibility studies made his lips feel good, but didn't sound good. Doing both was important to one's overall health as a musician. In the mix of all the long tone exercises is an important factor that I like to work on a bit each day. For the lack of a better word I will refer to the "optimal embouchure." That being that very tiny piece of real estate at the center of the embouchure. Finding that embouchure inside the overall embouchure helps you realize the center of the sound, and also when playing it PPP how to control the pitch. The extreme soft dynamic emphasizes or exxagerates all the problems of wavering pitch, air flow and pressure on the mp. Exercising on long tones while focused on this extremely soft aspect has helped me very much is developing an embouchure that relies less on pressure. Much of the sound thus emanating from the center of things, whether pedal C or high C, maintaining that focus becomes the goal. Applying this by holding the notes as long as you can, and sometimes focusing on one pitch for about 20 or 30 minutes. One might be sureprised at the results. sorry, I don't do signatures. Some sort of cardio workout before a long tones exercise will often help long tone exercises be more successful and promote improvement in executing them. 'Long tones' exercises are often associated with a 'warm-up'. Exercises - without the pursuit of improvement - are pointless, and exercises should be taken at face-value, rather than as 'warm-ups'. There is really no such thing as a *'warm-up' once a person is playing an instrument. There is only 'striving for improvement'. However, a bit of cardio...well, that's a genuine warm-up (for the cardio-vascular system). Mentally, aspiring musicians should grow accustomed to jumping right in and being 'on'. There is no 'warm-up' for 'Symphonie Fantastique'. ALL of that must be played 'cold'. The vast majority of auditions for (real) jobs involve sitting quietly for c. 1/2 hour prior to playing on stage. *Tubas are very large, and not-being-played tubas drift towards room temperature. Tubas actually do benefit from being "warmed-up" (at least, mine don't play in-tune as well when they are cold), but players are (arguably) warmed-up after a few seconds. Humans' bodies' temperatures are regulated, and additional blood is nearly instantly sent to muscles which are being used to carry out tasks. bloke wrote: Mentally, aspiring musicians should grow accustomed to jumping right in and being 'on'. There is no 'warm-up' for 'Symphonie Fantastique'. ALL of that must be played 'cold'. The vast majority of auditions for (real) jobs involve sitting quietly for c. 1/2 hour prior to playing on stage. One of the most valuable things my teacher passed on to me. I've tried a number of long tone exercises, and found them to be quite useful, as well as great exercise. They help a ton with breath control. I often mix them up with a nice exercise I picked up at a master class, which is to not tongue the beginning of a note, and start out just blowing air through the embouchure. Then start the lips vibrating, with the smoothest transition into the quietest possible note. Then let it fade again to just air. Really helps with the soft playing, IMHO, especially when coming off a cold start. I learned in college using the Blue Devils warm ups of long tones. Not sure but it certainly worked in marching band and got things sounding better than other exercises. 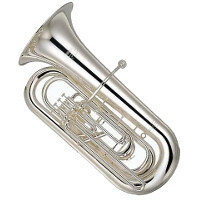 Pick up tuba; breathe in and play a note: "looooooooooooooooooooooooooooooooooooooooooooong". Take a break; look at your smart phone; take a drink of water, then pick out another note (preferably one not too far way): "loooooooooooooooooooooooooooooooooooooooooooooooooooooong". Continue doing this until you can't stand it any further and you THINK you sound better. My definition of the duration of a "long tone" infinitely approaches 0 as the lower limit, but never reaches zero (lower limit), and has an upper limit of infinity. The duration can be any number between these limits.